SIGNED CARTIER, 150 YEARS SWISS CONFEDERATION, NO. 1/50-1998, A LIMITED EDITION FOR SWITZERLAND. 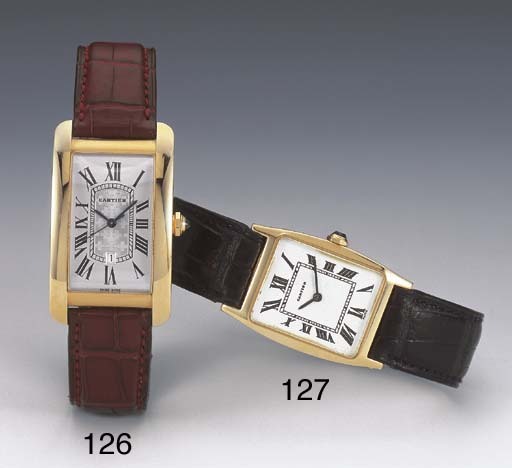 Self-winding movement, silvered dial with Arabic numerals, Swiss flag motif, date aperture and blued steel hands, oversized rectangular case, the back secured by eight screws, Cartier 18ct gold deployant clasp, dial, case and clasp signed. This lot is sold with fitted box, outer packaging and papers.